In the "old days" most people would leave a movie as the credits started to flow. More recently, many movies have extra scenes stuck in the middle of the credits or at the end, or both. But sticking through to the end and not being rewarded with an extra snippet is a downer. That's where the aftercredits.com web site comes to the rescue. 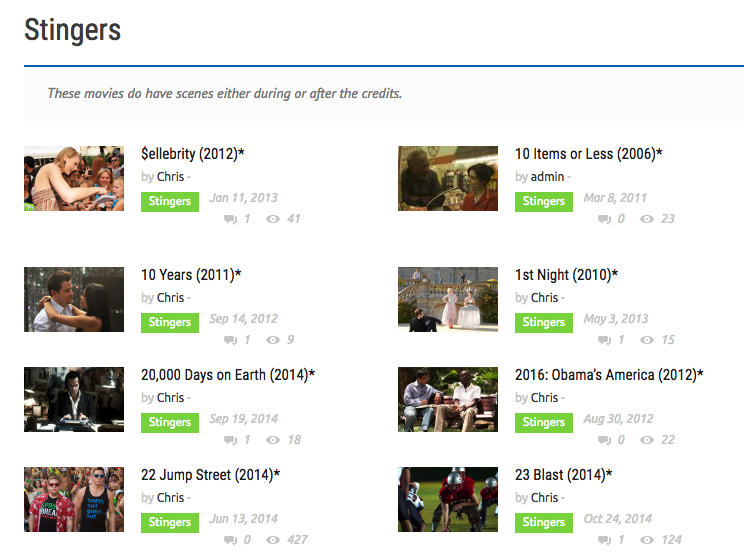 Look your movie up beforehand and if it's a "Stinger", it's been reported as having extra scenes.